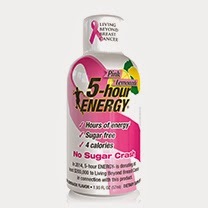 The makers of 5-hour ENERGY® products team up with the Living Beyond Breast Cancer organization this breast cancer awareness month. 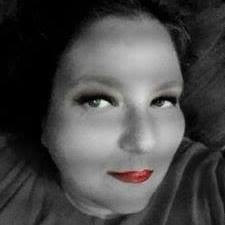 LBBC helps to support and educate people about breast cancer. Now through December 31, 2014, Living Essentials will donate five cents from the sale of every specially marked bottle of Pink Lemonade flavored 5-hour ENERGY® to Living Beyond Breast Cancer. LBBC is a nonprofit organization dedicated to connecting people with trusted breast cancer information and a community of support. The minimum guaranteed donation is $200,000.00. Just look for the white 5-hour ENERGY® bottle with the pink ribbon and you can help make a difference today! When you need a boost you don't want to wait. You want to feel more energetic now. A 5-hour ENERGY® shot takes just seconds to take. 5-hour ENERGY® shots come in original, decaf and extra strength. Be sure to like 5-hour ENERGY® on Facebook and follow@5HourEnergy on Twitter.